Which Of These U.S. States Is Known For An Architectural Detail Called A “Witch Window”? Aztec Kings Wore Cloaks Made From What Unusual Material? 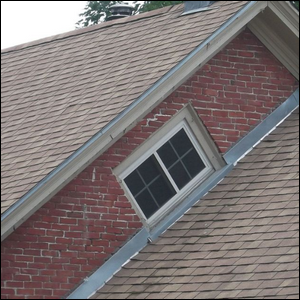 If you’ve never lived in or traveled to Vermont, there’s a very good chance that you’ve never heard of a rather peculiar architectural detail found on many older homes there: witch windows. What makes a witch window so peculiar? The orientation. Witch windows are windows that are installed into the gable end of a home’s roof line at a forty five degree angle off the regular perpendicular orientation you’d expect. The windows are typically found on old farmhouses that have been expanded at some point in the past. Because the installation of dormer windows was a greater expense, required ripping a hole in the roof, and necessitated additional construction, people would take a regular window (often one removed from the very wall where the expansion had been added on) and place it, rotated to fit, in the space above the new roof line, but below the old one on the gable end. The result was a rather odd looking window that still functioned like a window should—allowing light and fresh air into the space—but turned diagonally to the side like it’d been installed by a drunken tradesman. So why call them witch windows instead of, say, a more literal term like “gable window” or, metaphorically, “penny pinchers” or the like? The name comes from an old superstition that witches can’t fly through crooked windows—why exactly a person clever enough to master the dark arts and fly on a broom wouldn’t be clever enough to just lean to the left a bit while zipping in is a matter of debate for another day.